The second column that I ever wrote was about Hangleton Manor. So what has compelled me to write about it again (in what is my ninety-fifth column)? 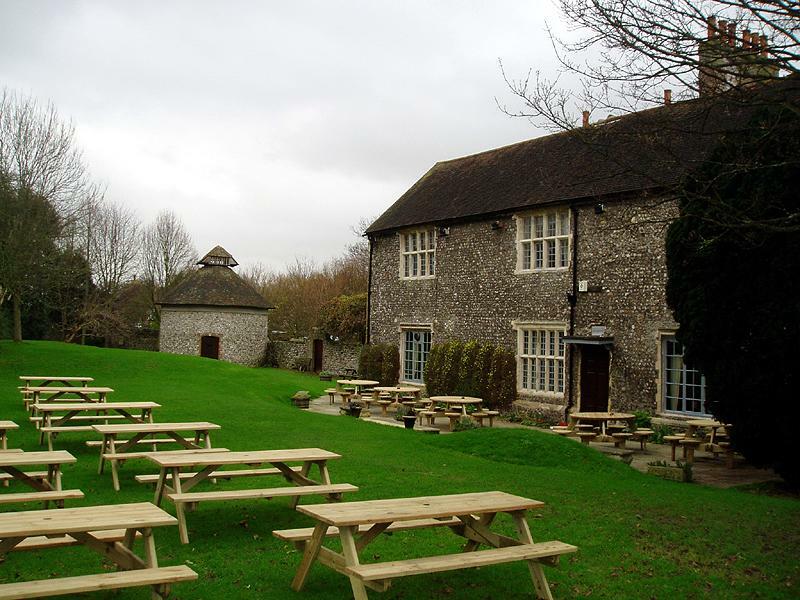 Hangleton Manor is the oldest surviving domestic building in Brighton & Hove. It was built during the 1540s for Richard Bellingham, soon after he had acquired the Lordship of the Manor. An earlier manor, thought to have been built slightly to the north, has simply vanished without trace. Hangleton had a population of 200-250 in 1086 (as recorded in the Domesday Book) but was hit particularly hard by the Black Death. By 1428, the number of inhabitants had dropped to just 2. In 1597, the Bellinghams sold Hangleton Manor to Thomas Sackville whose family, quite unbelievably, owned it until 1967 – that’s 370 years! Once inside the Manor’s gravel car-park, the surrounding stone buildings don’t give away much to suggest that we’re now in the 21st century. After entering a low entrance, a turn to the left leads to the ‘Commandment Room’, so named after the inscription of a version of the Ten Commandments that have been carved into the wall. The stunning plaster ceiling in that same room features sixty heraldic emblems of families, including the Bellinghams, connected with the area. It is hard to describe everything fully here. 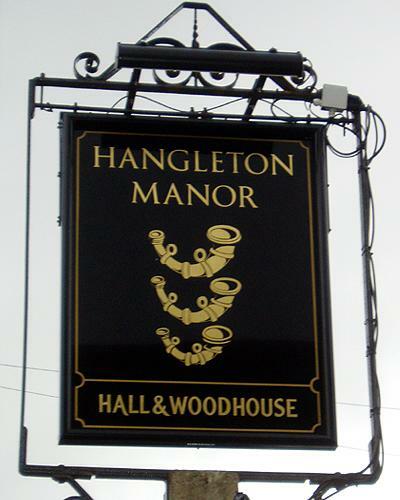 Hangleton Manor broke with its farming roots in 1930 after which time it became variously a house, a hotel, a country club and a restaurant. It was used by the military during the Second World War, as were many buildings in Hove and Brighton, which didn’t help its condition. Despite receiving Grade II* Listed status in 1956, many feared that it would be demolished. Every one of its 1,077 panes of glass had been smashed. After years of dereliction it was sold and turned into a public house. Much of what Hangleton Manor is today is down to the care and attention put into the work by Frank and Jenny Saunders since 1982. In my second column I did state that the nearby Hangleton Manor Dovecote, restored during the 1980s, will get a future column of its own and it will – just don’t ask me when! In 2005, Hangleton Manor was bought from Jenny Saunders and the new owners have done an excellent job in making it look even better though sightings of the resident ghosts have still yet to be confirmed.